Thanks to Summer Street Photography for the photos! On this cold, snowy February day, we thought if we can’t warm our toes, we would look back to last year and try to at least warm our hearts with Megan and Eric’s beautiful, classic fall wedding. Megan, a “no frills” kind of gal, wanted a muted color palate throughout her wedding. With the bridesmaids in neutral dresses and the men wearing navy, Megan wanted color to be introduced through the flowers. We chose to incorporate rich burgundies, rusty oranges, antiqued greens, deep blues, and softer tones with ivories, peaches, and grays. These colors were found in the dahlias, scabiosa, garden roses, ranunculus, roses, and stock flower that made up her bouquets. 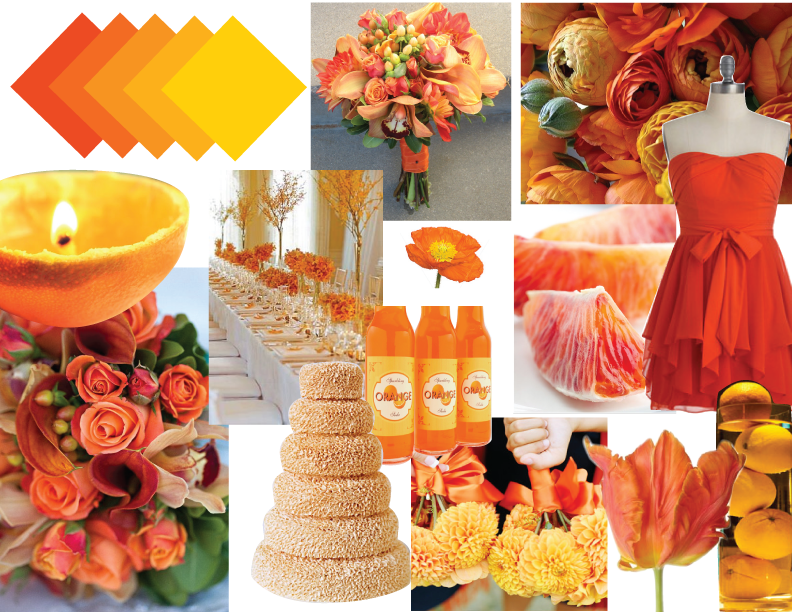 Besides the amazing color schemes, we were able to create the floral decor with fall flowers. Our favorite thing about autumn weddings are the variety of textures offered through greenery, berry, and filler. Megan’s wedding did not lack in these unique findings. We utilized textural elements, such as, seeded eucalyptus, broom corn, thistle, scabiosa pods, hypericum berry, and astilbe, to name a few. At the reception we wanted the guests’ tables to reflect Megan’s eclectic style. We used multiple height centerpieces with a combo of wood, gold, copper, amber, and clear vases / candle holders. The tables were covered in a floor length ivory linen that allowed the flowers to “pop”. For the head table and guestbook table we used a slate blue linen to make them stand out, while staying within Megan’s tailored style. The overall atmosphere of the reception was warm and inviting; achieved through the rich, unique tones of the flowers and the amber glow of candles lighting the room. A BIG thanks to Studio Blu for the amazing photos! It is always fun collaborating with friends on their weddings! They usually give us full reign when it comes to choosing and designing their weddings. Arica was no exception! Her look was rustic/vintage with bold pops of colors. We brought her wedding theme to life by combining elements such as doilies, wooden slabs, burlap, embroidery, and mason jars. Below are just a few pictures that captured that memorable day. We started the 2014 wedding season off with a bang! Liz and Lance’s wedding was a classic glam wedding that sparkled from ceremony to reception. The lush ivory flowers were combined with accents of Tiffany blue and crystals. To bring the romantic theme to life, we combined hydrangeas, garden roses, stock flower, ranunculus, and peonies. For the centerpieces we used a mix of grand trumpet vase arrangements with crystal accents, low-packed arrangements in crystal globes, and varied crystal vases with candles. To top it off, each guest received their very own Tiffany box filled with a delicious truffle. Not only was Liz and Lance’s wedding a great start to the summer, it was an affair not soon forgotten! Grey is a color that in the past has gotten a bad rap; it is often a color associated with sorrow and mourning. However, today is a new day! Now grey can stand strong against its more popular counterpart: black. 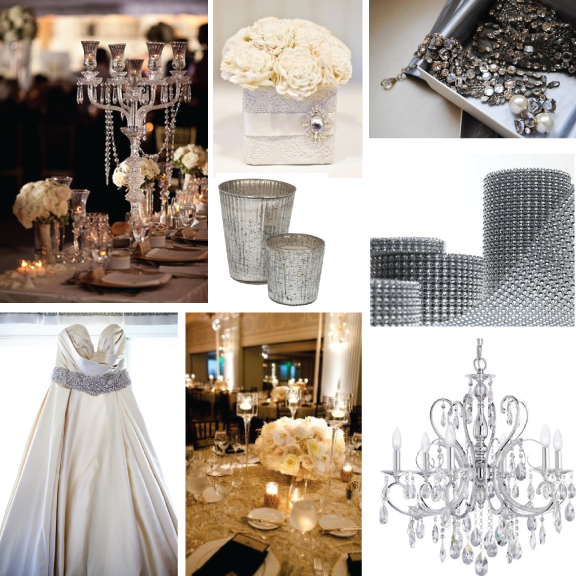 This year grey is “the” choice for weddings. Many may not know, but in Native American cultures grey is associated with friendship and is seen as a symbol of security, maturity, and dependability. No matter what grey tone you use this hue can add a cooling yet sophisticate vibe. Grey comes in a variety of shades and tones that will work perfect for you. If you want your wedding to feel fresh and crisp you should pair it with softer, pastel combinations such as greens, peaches, pinks, lavenders and blues. Grey can also work amazingly with more saturated hues of purple, reds, yellows, and hot pinks. By pairing grey with these bold tones you will create a more modern color palette. The beauty of grey is that you can replace white with light grey or substitute black with dark grey. Whatever tone of grey you choose you are bound to find a shade that is a perfect addition for your wedding color palette. 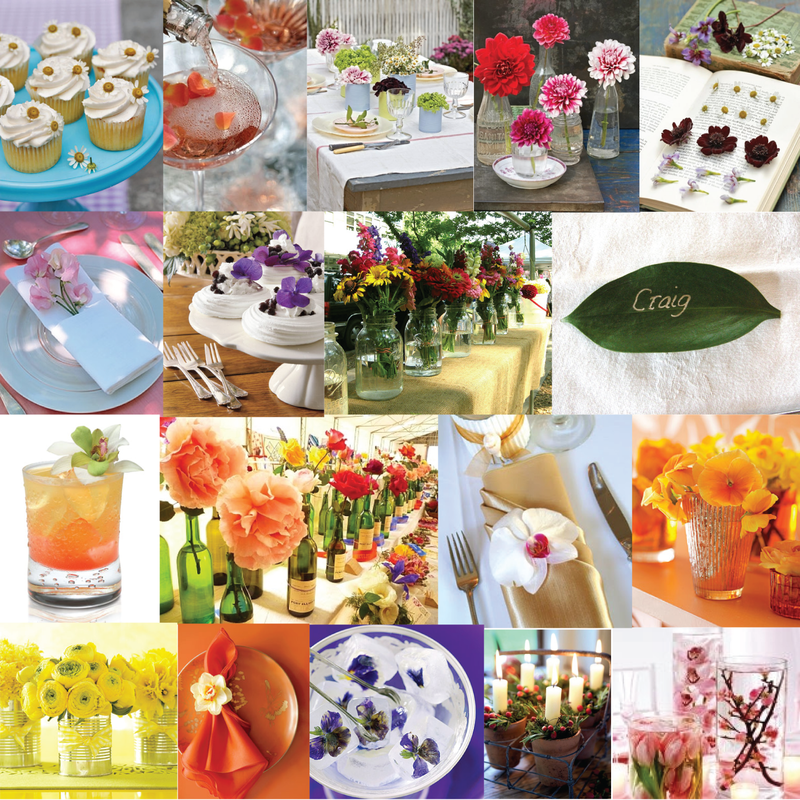 When incorporating grey into your wedding flowers, with a little creativity there are some wonderful choices. One of my favorite stems to use to bring out the shade is silver brunia. This berry not only complements most color palettes but also adds a unique texture to any bouquet. My other go-to for grey is any type of eucalyptus. This foliage comes in many varieties such as baby blue, gunnii, or silver dollar eucalyptus. Each offer a great option to add a hint of blueish gray to a flower arrangement. If you are seeking a true grey foliage, stick with the fuzzy textured ‘dusty miller.’ Finally, succulents are an awesome choice to add a touch of grey to your flower combo. Choosing any of these suggestions will bring texture, sophistication, and a sense of modernity to your bouquet. Planning a wedding is nothing but overwhelming. Decisions upon decisions bombard your once normal days. Try to juggle the details while sticking to a budget can seem like an impossible feat. However, with these few budget savvy tips you can maintain your overall look and feel without busting your buck. Votives: Nothing sets the tone of your reception then candle light. Saturate your reception with inexpensive votives. Garden Flowers: Raid your or families garden’s for flowers. Many florist will work your own grown flowers….just remember you will still need to pay for their services and floral supplies. Submerged Floral: Create a striking arrangement with as little as three flowers by submerging your favorite bloom, such as, orchids or calla lilies in vases with a floating candle. Vases and Jars: Instead of purchasing or renting vases create an eclectic look by gathering a mix of vases, jars, and glasses that you or loved ones may own. Colored Water: Bring color to your tables by floating a candle in a vase filled with colored water. 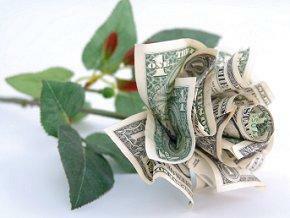 Add a submerged flower for an extra touch. Rose Petals: Don’t scatter, but, create “petal piles” around candlescapes, which, gives you color for little cost. You can also fill rose petals in a hurricane vase with a candle or submerge in a vase filled with water and a floating candle. Hydrangeas: Although hydrangeas are considered one of the more expensive flowers, they cover a large area. Fill a vase with one to tree hydrangeas to create a lovely, simple centerpiece. Baby’s Breath: Don’t knock the baby’s breath… (Although I have been known to too) Packed tightly in arrangements or bouquets baby’s breath can mimic snow, perfect for a winter wedding. Bridesmaid’s Bouquets: Create modern, inexpensive bridesmaid’s bouquets by using a few stems of one flower such as peonies or hydrangeas. Paper Lanterns: Paper lanterns make an enormous visual impact whether they are lit or unlit. They are super budget friendly and tie the whole reception room together.